Last week, I recorded and posted a short video on the power of value and I want to share it with you (link at the end of this post). Many people want to be successful and work very hard at it. But not everyone in that category think hard about this factor that will make them go farther than success; your value-add. Do you want to survive or be significant? What can you do to improve the lives of others? What can you do to make those around you better? People of signficance don’t settle on being successful; they create and add value to others in ways that’s often personally inconvenient and brings them out of their comfort zone. If you want to survive, focus on yourself and you’ll probably do just fine but nobody will derive fulfilment from your life. If you want to be significant, look away from yourself and others will find purpose because of you. You don’t create value by only receiving; you do when you give. Consider what you can give to others today, especially at cost to you. Our society assumes it’s normal to focus on ourselves alone and pursue ‘self-actualisation’. But that’s the path to lack of fulfilment. There’s power in collective realisation of purpose. The difference lies in our resolve to become value-adding people. Look for opportunities to create value in others. Say something that will challenge someone to live purposefully, to discover and pursue what they were created for. Do something that will inspire courage in others. Act in a way that will create belief in a friend or colleague – belief that they can overcome their greatest challenge right now. Contribute to other people’s success. When you do that, others will reciprocate and add value to your life too. 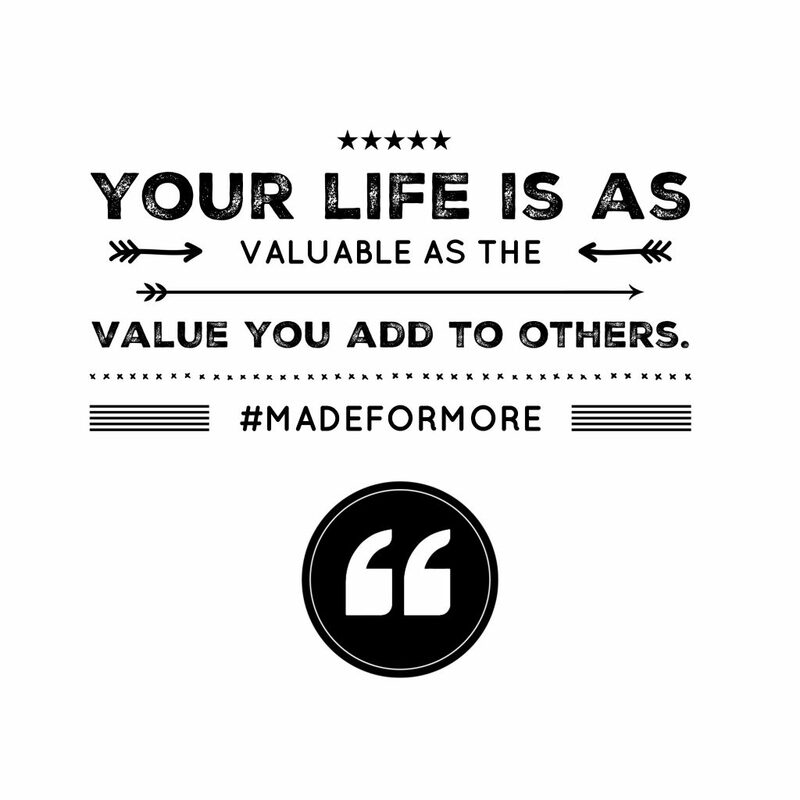 You are as valuable as the value you add to others. To watch my video, click on the link below. Share it with others and subscribe to the YouTube channel.